All hail Ikea. Their collection of homewares is beyond brilliant and you may be pleasantly surprised to learn that a lot of the items sold in Ikea can be used in more ways than one. Come browse through these creative upcycling ideas that transform regular Ikea items into something special for your little ones. At a mere $4, the Bekvam spice rack is a brilliant buy. Not only are these racks great for storing spices and other items in the kitchen, but you can use them around the house as well. They make a beautiful addition to your washroom, perfect for holding lotions, powders and deodorant and they are perfect for holding mail, keys and loose change at your front entrance. 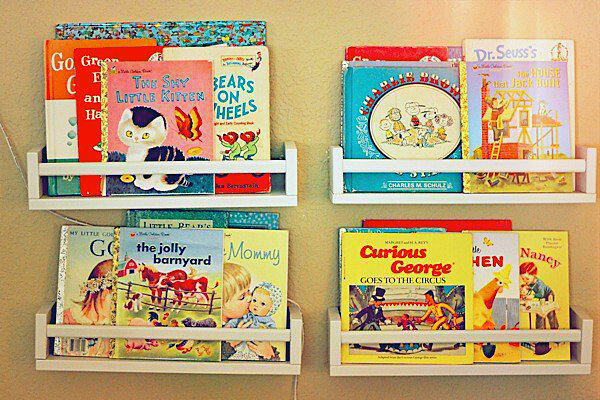 Many mums have discovered they are also perfect book shelves. 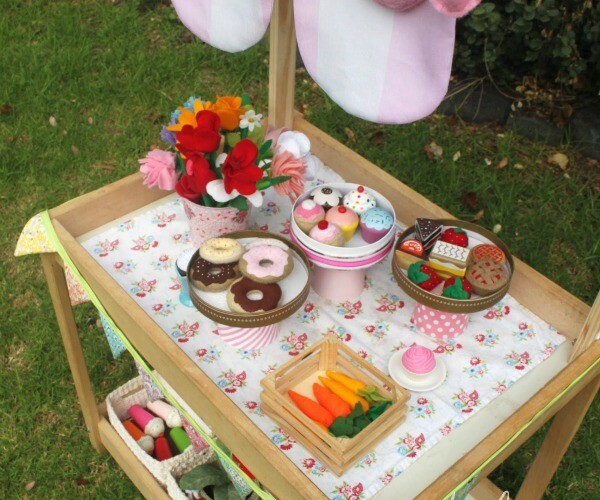 Transform an old Ikea change table that is gathering dust in your garage into a beautiful play shop/market stall, complete with a frilly tablecloth, funky bunting and plenty of delicious snacks and treats to serve the customers. Solve the mystery of the missing shoes with this awesome idea. 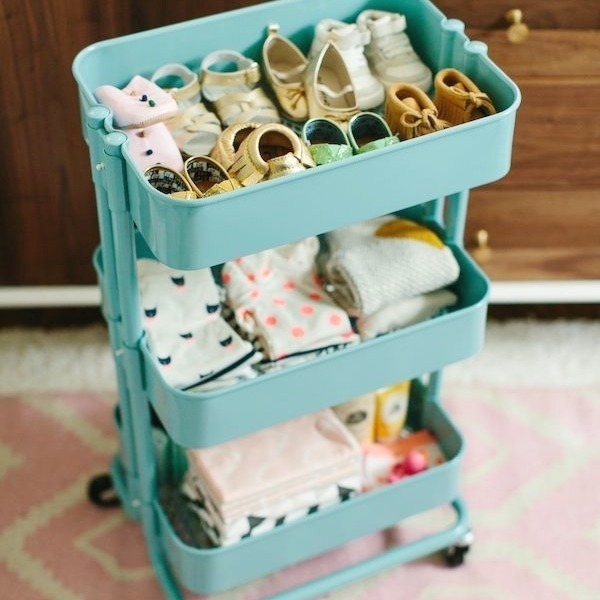 Transform a RASKOG kitchen trolley into a mobile child's wardrobe for easy access to all their necessities. I can see my daughter wheeling this around with her from room to room, complete with her shoe, princess dresses and tog collection (her necessities). It's also incredible for crafts. Another great hack for children's clothing is this ingenious use of the Ikea Bygel rail (at the bargain price of $1.50) and the Ikea Lack wall shelf. Simply screw the rail to the bottom, then hang as usual. 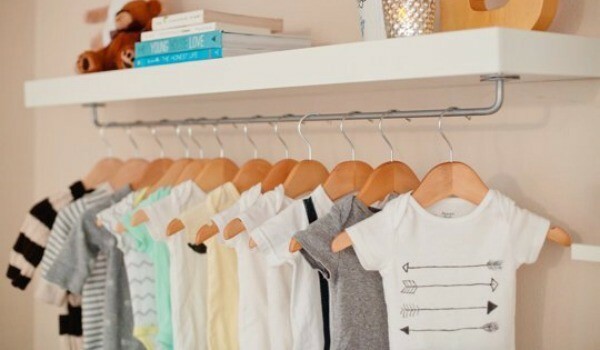 You've got a shelf for books, decor and knick knacks and a mini wardrobe for all of those gorgeous dresses, superhero costumes, jackets and onesies. 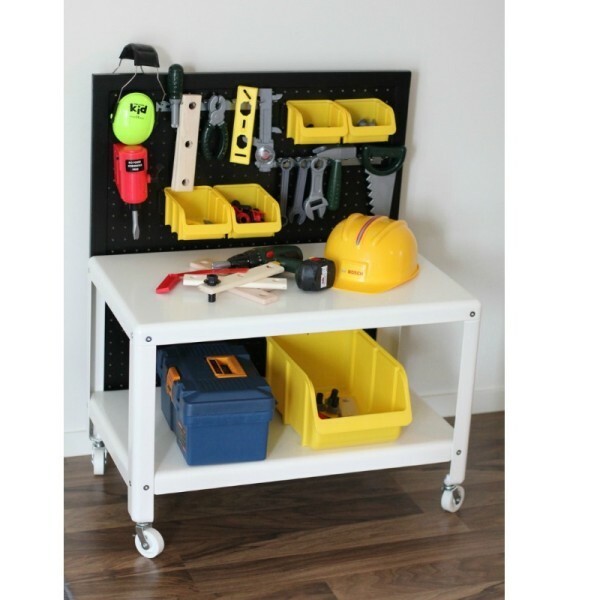 Little builders will love this portable work bench, complete with a peg board of tools and made from a simple Ikea PS 2012 coffee table. Grundtal knife racks can be used to organise anything made with metal or magnets. 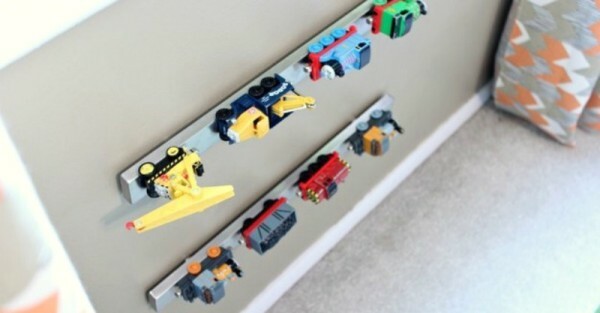 Toy trains, matchbox cars and alphabet magnets will have a brand new home and your children will love displaying their toys in this creative fashion. Quite possibly the worst thing in the world to clean up, Lego is a staple in most households with children. 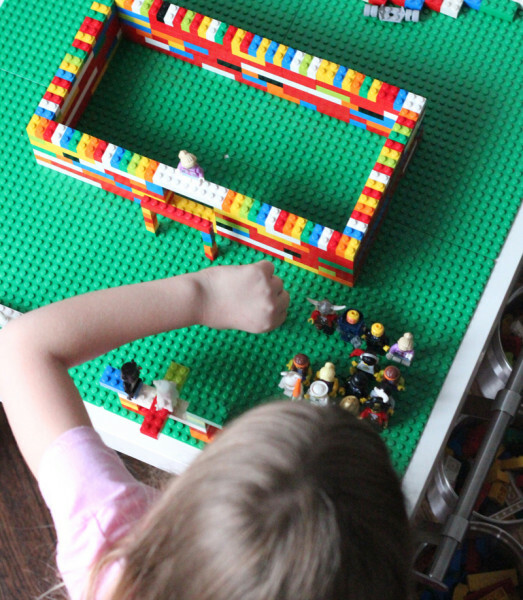 Using a Lack table, Bygel rail and Grundtal buckets, you've got the perfect Lego organisation station. What's next on the list? How about a cute ride on for the little ones? 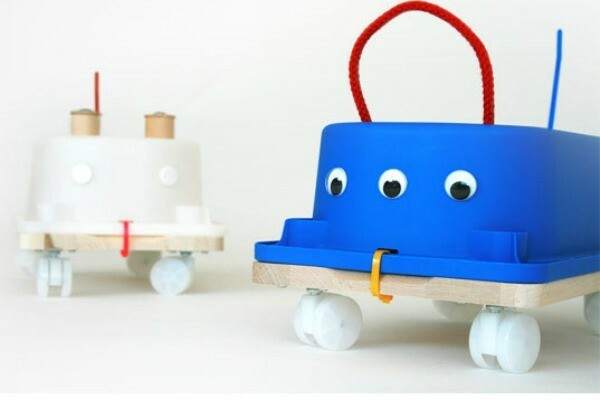 With a couple of accessories from the craft box, a set of wheels, a piece of wood and an Ikea Trofast storage bin, you have a speedy racer to zip around the house on. This has got to be one of the sleekest play kitchens we've ever seen. We love the monochrome and simplicity of it. 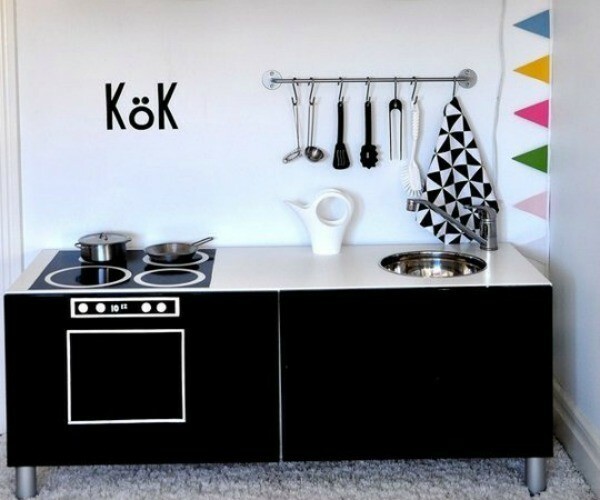 This is one kitchen I would be happy to play with. And all it takes is an Ikea Stockholm sideboard. 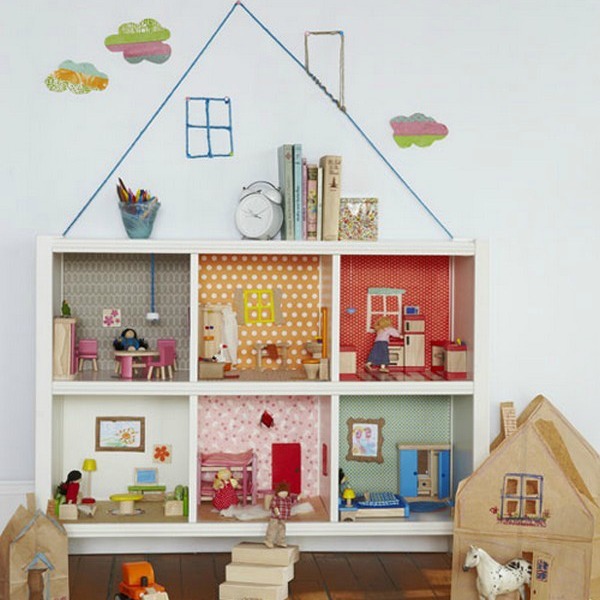 How about this classic doll house from the Kallax shelving unit? All you need is a little bit of scrapbooking paper, a piece of string, a few stickers and a pen and you've got a beautifully-designed doll's home. Or size it up and make a castle fit for stuffed animals, dolls, puppets and horses alike using a larger Kallax shelving unit. 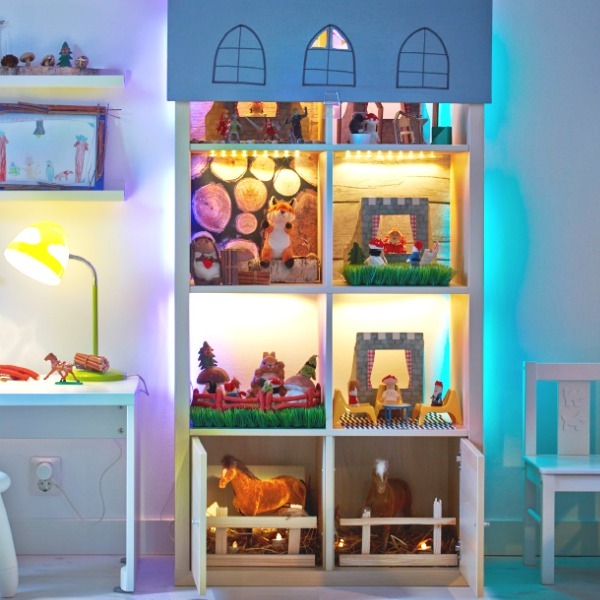 What would go perfectly in an Ikea doll house? How about some retro furniture? 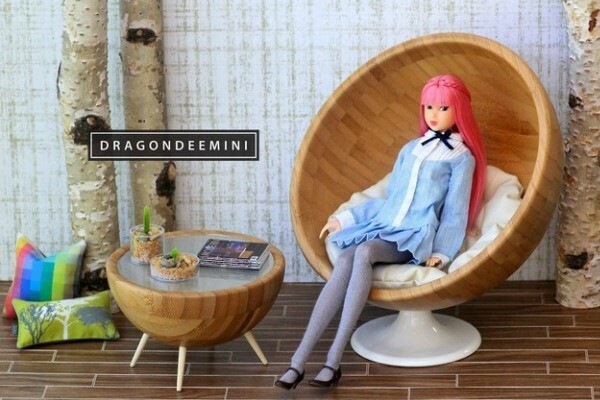 Turn a couple of Blanda bowls into a vintage lounge set that Barbie will absolutely adore.